This entry was posted in Beneath a Navajo Moon and tagged Beneath a Navajo Moon, inspirational, Lisa Carter Author, Native American, Navajo Fry Bread #Recipe, recipes, romantic suspense by Lisa Carter Author. Bookmark the permalink. Thanks for posting this recipe, Lisa! 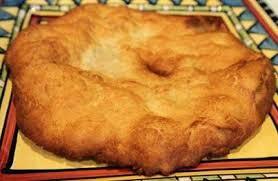 I ate fry bread when visiting the Cherokee Reservation in Cherokee, North Carolina last year. It was unbelievably good.